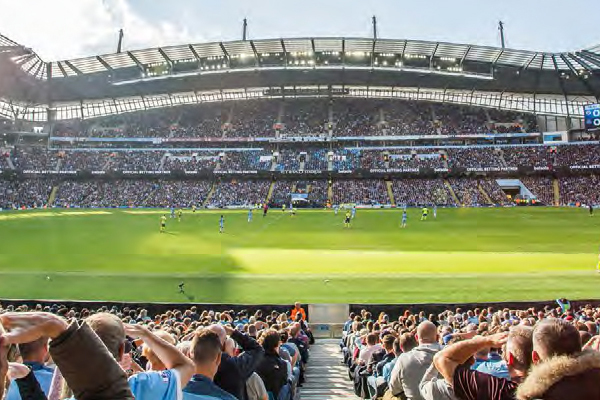 Manchester City welcome domestic rivals Tottenham Hotspur to the Etihad Stadium for an eagerly awaited UEFA Champions League 2019 quarter final, so book official Manchester City v Tottenham VIP tickets & hospitality today. 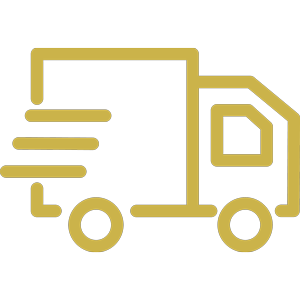 Manchester City host Tottenham Hotspur in the second leg of the UEFA Champions League quarter final clash on Wednesday 17th April 2019. This all-Premier League affair will be one of the most fiercely contested matches of the quarter final stages of the European Cup, pitting Pep Guardiola’s Man City against Mauricio Pochettino’s Spurs. 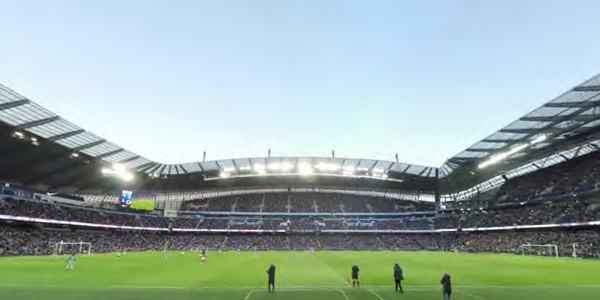 Despite manager Guardiola playing down their aspirations, Man City are in the running for an unprecedented quadruple this season, having already been victorious in the Carabao Cup Final against Chelsea, progressing to the latter stages of the Emirates FA Cup and taking Liverpool to the wire in a hotly contested Premier League title race. 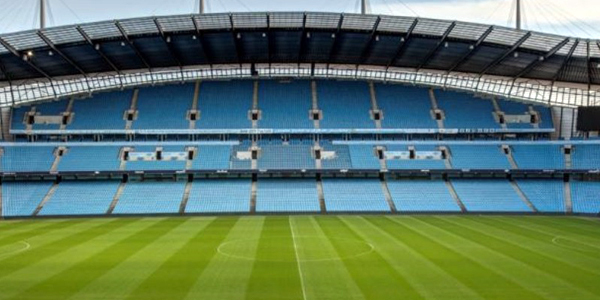 The Etihad Stadium will be at fever-pitch when Manchester City step onto the turf to face Spurs in this mouth-watering UEFA Champions League quarter final match. 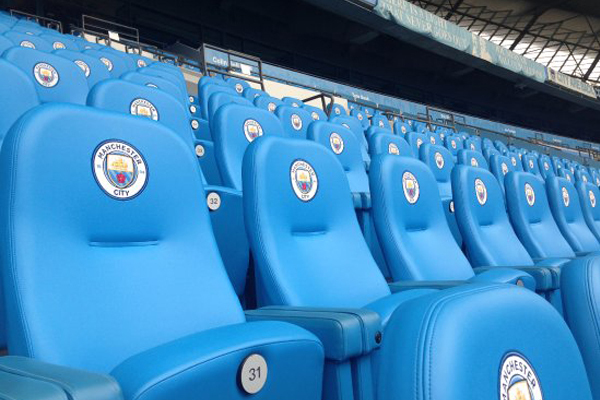 Witness Manchester City’s glittering side in action this season with global stars like Sergio Aguero, Raheem Sterling, David Silva and Leroy Sane all in contention for Pep’s side. 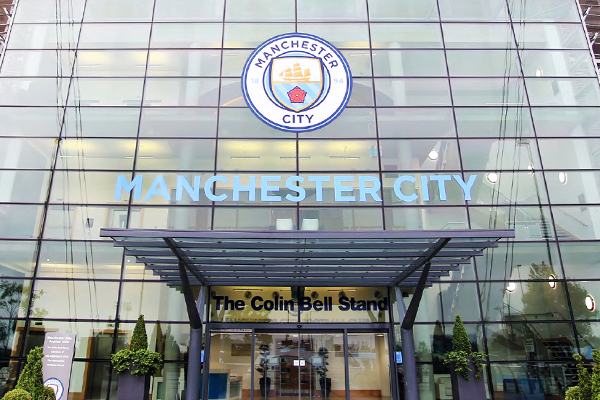 Experience an unforgettable night of UEFA Champions League football with official Manchester City v Tottenham hospitality packages at the Etihad Stadium. 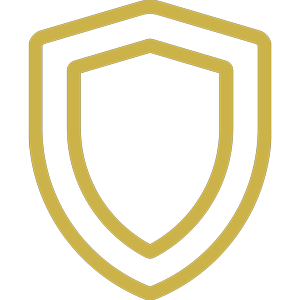 Savour all-inclusive entertainment with your guests and exceptional views of the drama as it unfolds with exclusive VIP tickets for the big game. 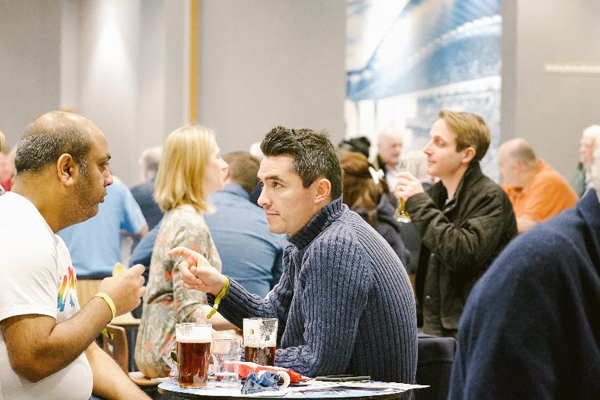 The Commonwealth Bar at the Etihad Stadium offers football lovers a relaxed match day atmosphere in this informal hospitality venue, ideal for entertaining guests with he ideal combination of world class football and exceptional Manchester City v Tottenham VIP tickets. 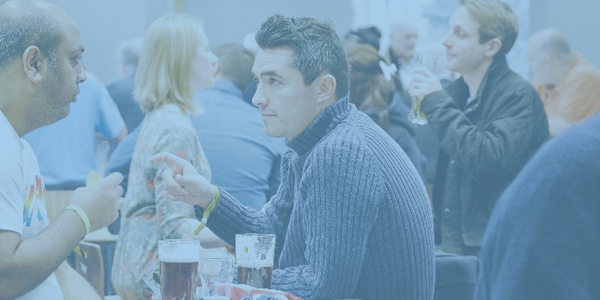 The Commonwealth Bar hospitality packages can be booked for groups of 2 guests and above. 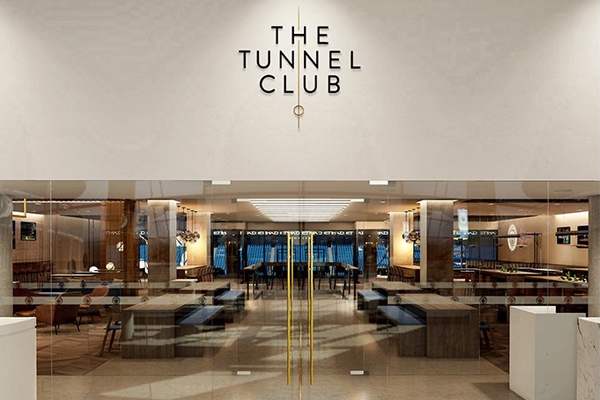 A new hospitality concept, The Tunnel Club at the Etihad Stadium is a cutting edge new hospitality experience developed by Manchester City to give fans a chance to get closer to the stars than ever before. 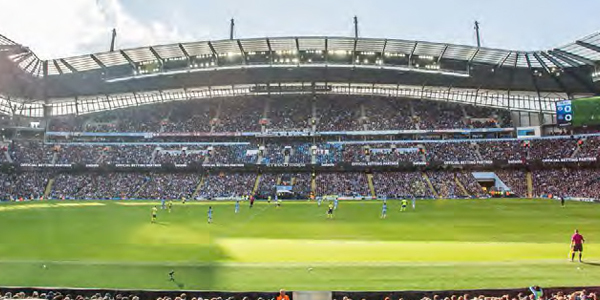 Manchester City hospitality guests will enjoy unrivalled backstage access and greet the players as they arrive at the stadium via the Tunnel Club hospitality suite, then watch the match from VIP seating in prime place next to the team dugouts on the halfway line. 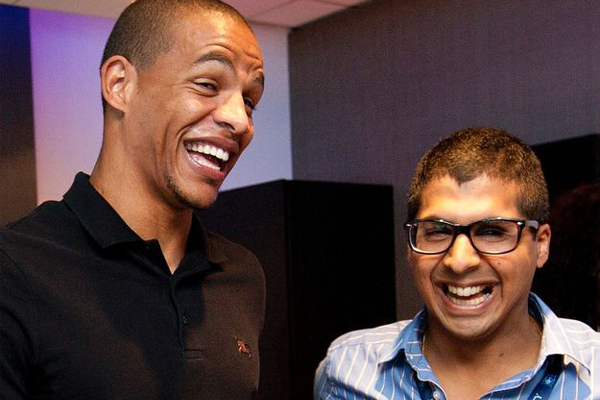 The Tunnel Club hospitality packages can be booked for groups of 2 guests and above. 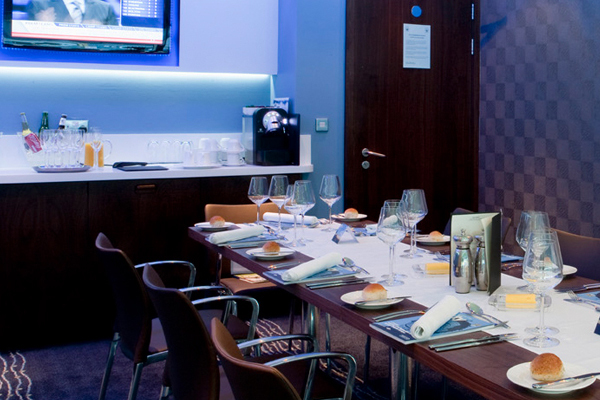 The Chairman’s Club represents the most prestigious match day experience at Manchester City, with a sumptuous five-course meal in luxurious surroundings and the very best views in the stadium. 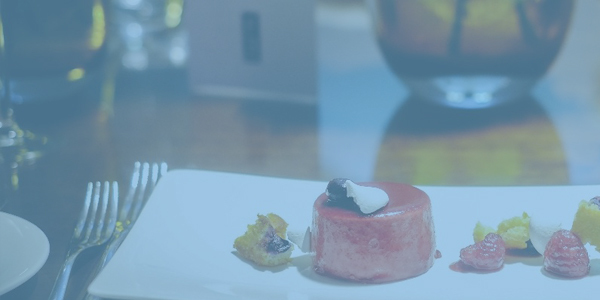 The only restaurant in the Club where guests have access to an exclusive networking area which hosts the Chairman, Club executives, celebrities and corporate guests alike. 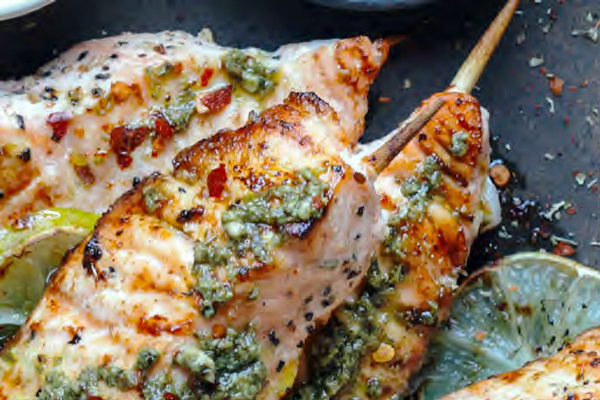 The Chairman's Club hospitality packages can be booked for groups of 2 guests and above. 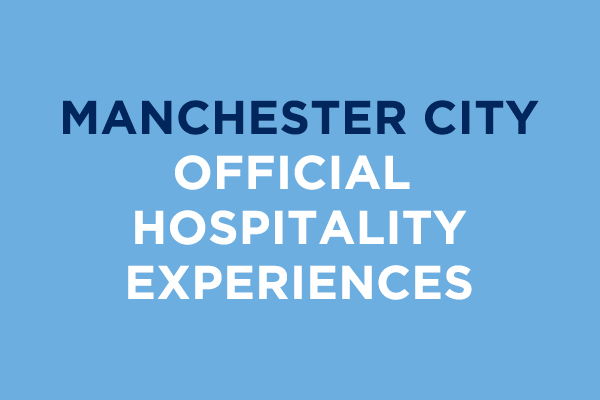 To book your places or for more information on official Man City v Tottenham hospitality and VIP packages, send us your enquiry below and a member of our hospitality team will get back to you as soon as possible with all the necessary event information. 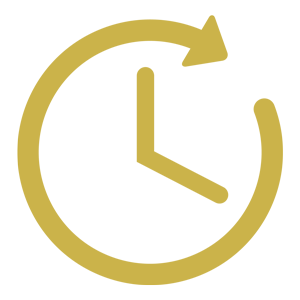 Browse through the calendar months below to find all upcoming Manchester City matches in the Premier League, UEFA Champions League, Emirates FA Cup and the Carabao Cup and select your favourite fixture at the Etihad Stadium. 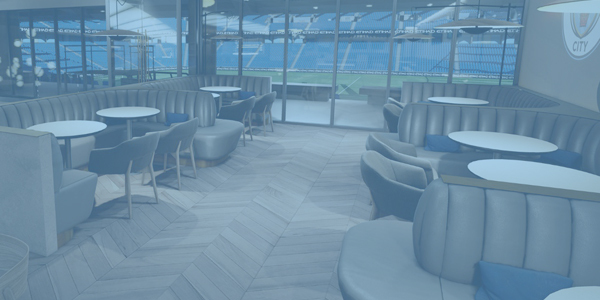 Step inside the range of ultra-exclusive football hospitality suites at Manchester City FC and get a flavour the entertainment opportunities at the Etihad Stadium. 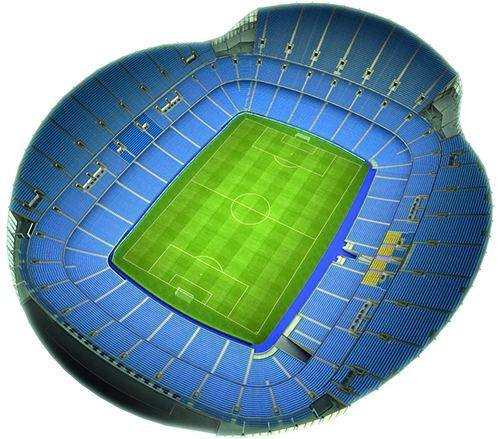 To find out prices for all official Man City v Tottenham hospitality tickets, a full fixture schedule and to find out more about the award-winning VIP experiences available at the Etihad Stadium, get in touch using the enquiry form above and we will send you all the relevant information to help you get ready for an incredible match day at Manchester City Football Club this season. 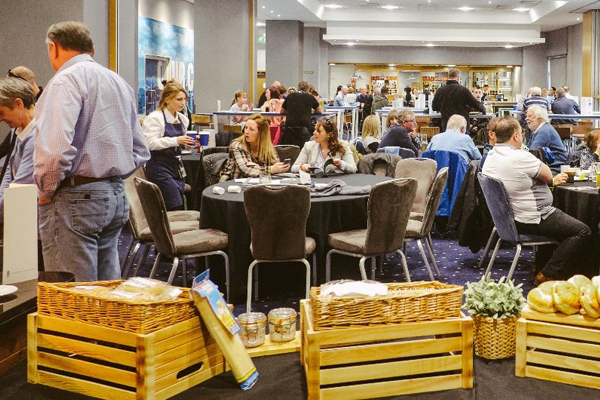 Our team of experienced event gurus have the expert knowledge to answer any questions and help you discover Manchester City v Tottenham hospitality that perfectly suits your needs. 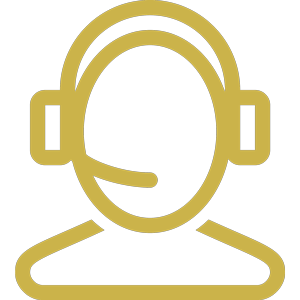 If you've got any questions on how to book a hospitality package, when your VIP tickets will arrive or anything else, you can contact us 7 days a week for assistance with any queries. We pride ourselves on providing official Manchester City v Tottenham VIP tickets at the Etihad Stadium along with all our events, guaranteeing you peace of mind each you book with us.